It’s not so surprising that you can stumble upon a great restaurant on every street corner in Tribeca. That said, it might be a bit difficult to distinguish what you should eat among all the high-standard choices. 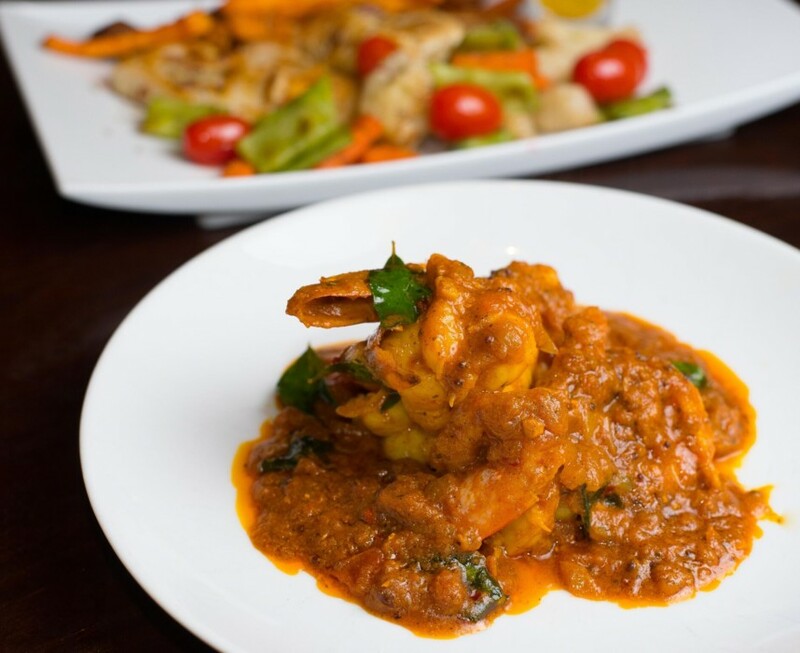 If you’re looking for incredible Indian cuisine, Benares is your spot, hands down. 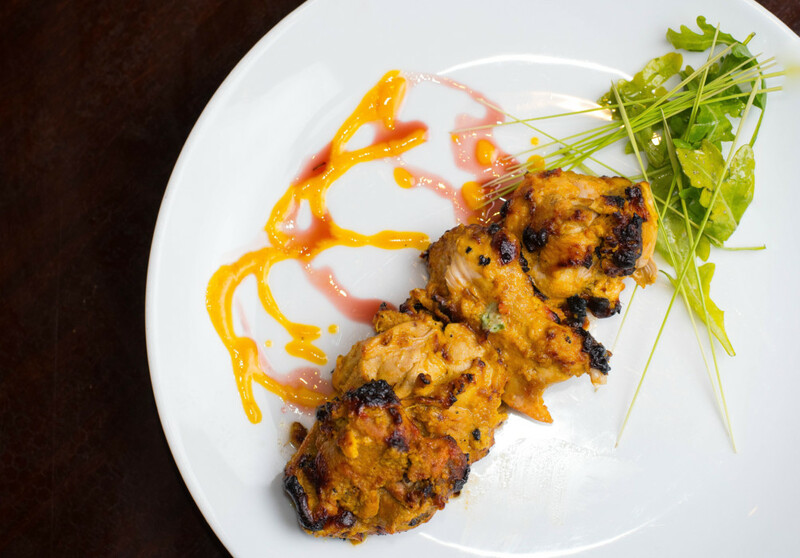 Drawing inspiration from the best Indian restaurants in Manhattan, Benares brings the best of all Indian cuisine together. Walking in, my guest and I knew we were in for something totally special. The restaurant is huge and can seat up to 100 people in the booths that line the walls and the tables that are expertly placed in the centre. The vibe was luxe and sleek with dim lighting, candlelit walls and bright red accents. Our waiter dashed out from behind the Art Deco partition to show us warmly to our seats. When we took a look at the menu, we noticed its serious expansiveness. 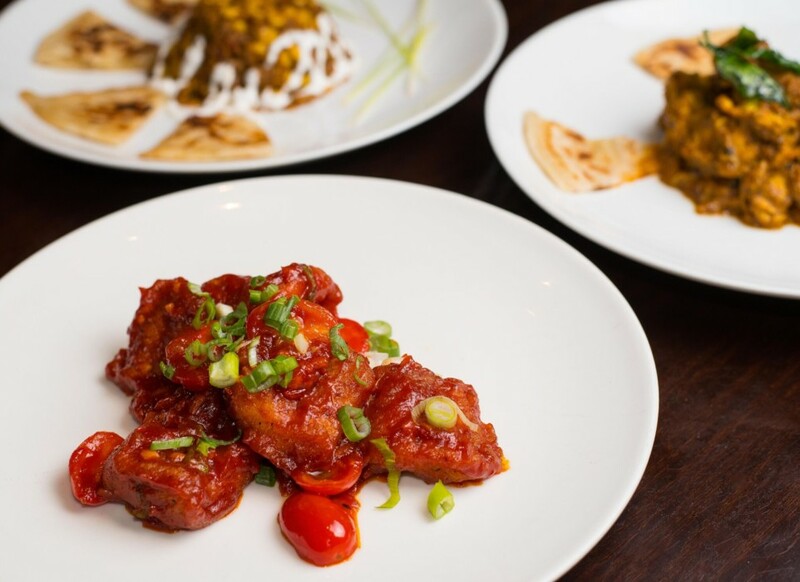 Though the name Benares comes from a northern Indian city and the menu boasts many of its classics, you can find dishes from all corners of the massive, diverse country. From paneer to lamb curry to malai kofta, the menu has you covered. My guest and I decided, as always, to rely heavily on recommendations so we could hit every corner of India. Before we ordered our food, we were prompted by our waiter to order drinks. The drinks menu is more focused and specialized, and though everything looked equally tasty, I went with the Smoked Maple Sour ($10) while my guest went with the Benares Martini ($11). The sour’s smoked maple bourbon and grenadine worked nicely together while the Martini was floral and sweetly simple. We were so overtaken by the cocktails, we almost forgot to order the food (imagine that). We were reminded when our waiter brought over complimentary baked crisps with a variety of chutneys, which were delightful. After much deliberation, we decided to start with the Khasta Gobi ($8), which included breaded cauliflower in a sweet and tangy chili sauce, the Aloo Papri Chat ($8), an incredible parfait-like dish with chickpeas, yogurt and pomegranate seeds, and the Aamiya Jhinga ($23), tender jumbo prawns cooked in a smoky tandoor with molasses, mango and chili. Each appetizer complemented one another and gave us a broader taste of Indian cuisine. Once we’d cleared our plates, we giddily anticipated our mains, which we decided to share. The choices were classic chicken tikka ($17), butter chicken ($17), saag paneer ($15), lamb korma ($18) and malai kofta ($15). If you’re wondering how we ordered that much food, I’ll tell you right now that we did not have room for all of it — not even a third. The dishes all came with a hefty amount of rice and naan. I have to admit I have a serious thing for butter chicken, but the malai kofta also stood out as one of the best among the bunch. Each dish had a creamy, velvety sauce bursting with flavor. We were happy we tried them all, though our waiter had such good intuition, he had takeout boxes ready before we’d even put down our forks. We were sort of nudged into it, but we absolutely wanted to reserve one last bite for dessert. We were given the atom bomb ($7), which is a chocolate lava cake with rose petal ice cream. Holy crap, guys — this dessert topped off our night as we topped off our ability to fit another thing in our stomachs. To say Benares has a huge (and tasty) menu selection is an understatement, and to say that their portions are also huge is the biggest understatement of all. You can bet each dish is worth trying — just make sure you understand all the food you’re gonna bring home at the end…not that it’s a bad thing. We’ll be back for you, Benares, and next time, we’re taking over the prix fixe lunch.